Hey!!! So it’s official, Ivory Elle made her arrival August 31 at 12:36pm. She was 9lb 1.4oz and 20.5″ long. Only a few ounces less and an inch shorter than our Avynn, haha. We were 5 days past our due date and we finally went in Wednesday morning! Today marks 1 week that we’ve been a family of 4, and let me tell you…its been insane! Don’t get me wrong, Avynn has been a great helper and she’s obsessed with her sister, but trying to get into a routine has been the ultimate struggle! 3 girls getting ready has been impossible haha. I’ve been enjoying pjs and movies as I stay home with the girls! We had our family visit in the hospital and as soon as we got home I had a pile of mail waiting for me! There were so many amazing companies congratulating our family and sending endless gifts! 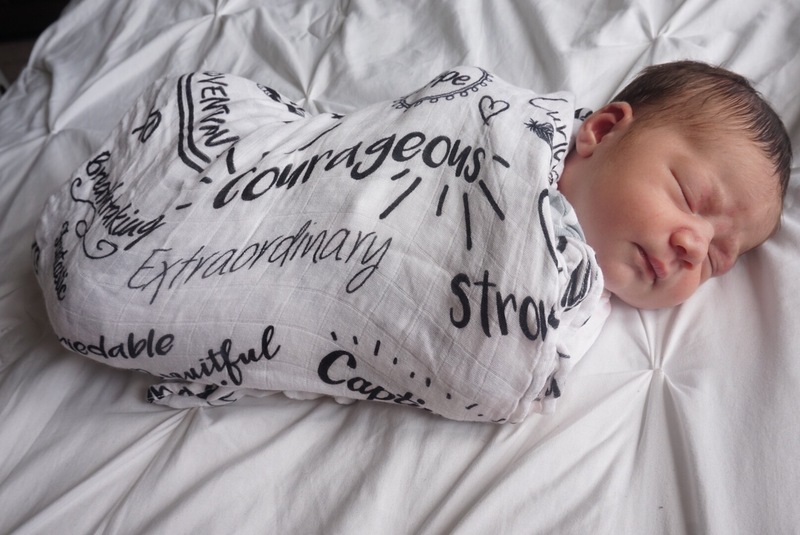 The first gift I wanted to talk about in today’s post was this bamboo muslin baby swaddle from Oobydoobybaby! The comfort of this blanket is ridiculous! It’s so soft and it’s actually the largest one I’ve ever seen. As Ivory grows I think we will transform the blanket from a swaddle to a thin beach blanket for next summer! At the hospital we got over 5 compliments from different nurses about how much they love it! I just want to thank Karen again for sending us this beautiful gift! Please check out her site in the original link above and to all of my mommy readers make sure to follow them on Instagram @Oobydoobybaby! 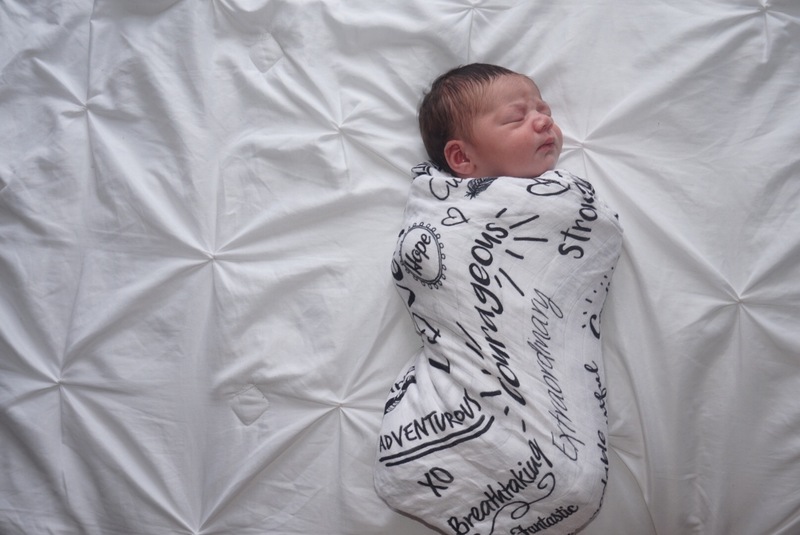 Also, a few of you have sent emails asking to share my birth story on my blog and at this time I would only like to answer questions under this post! We made it through to one week with two girls at home, and now it’s time to finally jump in the shower!